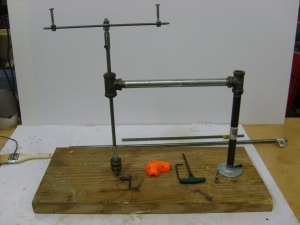 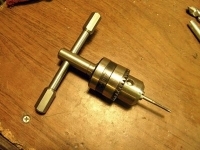 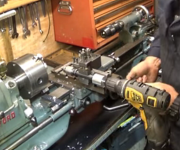 Homemade hand tapper constructed from salvaged drill parts. 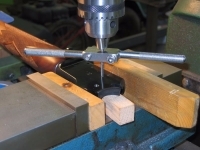 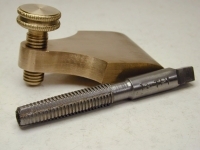 Sliding T-post is fabricated from a 1/2" pipe T. Brass bushings are hammered into the T ends. 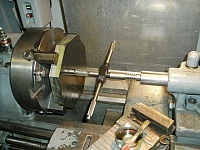 A pipe connected the a vertical support is fitted on one end. 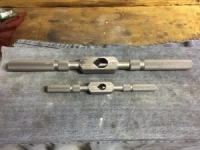 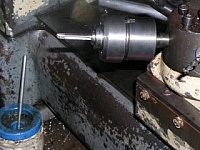 A 3/8" rod is driven into the bushings. 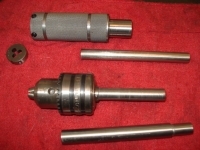 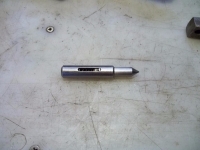 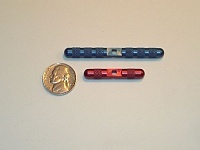 The chuck is attached to the rod through a connector. 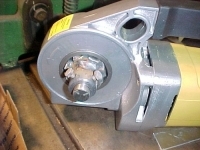 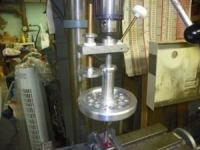 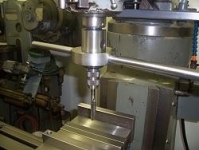 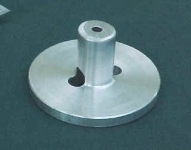 The assembly is flange-mounted to a wooden base.